Rate this Article VR gaming may have been a little bit layed back in being fully caught on by the gaming public but it did catch on. It’s up to the developers of the technology to lift VR into a level of acceptance into everyday life. The year 2016 was marked as the year of Virtual Reality as the technology was introduced and somewhat pushed into the gaming and computer industry. Though VR products where already in development for some time, it was only during the previous year that it was generally and globally promoted as an ongoing and upcoming awesome future technology. Despite the extensive promotion of VR in the market, and being such a new technology, there where several shortcomings that have hindered VR devices in becoming sort of a main stream appliance for everyday use. At the moment, at it's current development state, VR is more of a gaming and entertainment technology as it is in these fields that it is most used. However, despite the overall acceptance of VR in the computer gaming world, much development is still needed for VR to reach its highest possible potential. Thus, several developers and industry specialists who had placed their bets on the technology continue on with their task to advance VR until the time it will become readily and easily accessible to the public in general and take its place in everyday main stream application the way thet the PC and game consoles have done. Most of the advances in VR nowadays are being pushed by small developers who can focus on the peripheral and add-on technologies that continue to enhance the VR experience. This is also the trend in VR games development where the small developers can afford to shoulder the cost with minimal collateral damage so to speak in case the game doesn't do too well, something AAA game companies cannot afford to risk due to their higher overhead in terms of development. VR games have to be designed in such a way that they can adhear to the hardware limitations of the current technology. This means delivering the most intense and awesome virtual experiences at the shortest possible time frame a user or gamer can handle staying in VR without starting to feel any negative effects from the use of it. This would mean the eyestrain, vertigo, extreme disorientation and other effects from being removed for too long from ones real surroundings. To advance the gaming experience, developers have started to develop VR apps that are sonewhat combinations of gaming and tutorials at the same time. This can give the user a longer duration to spend time inside VR as movements can be achieved without taxing the technology and risking the visual side effects on the user. VR is awesome but you cannot stay in it for lengthy periods of time the way you spend in front of your PC monitor playing DOTA or CounterStrike. A good example of a tutorial-hobbyist app currently in development is called Wrench. 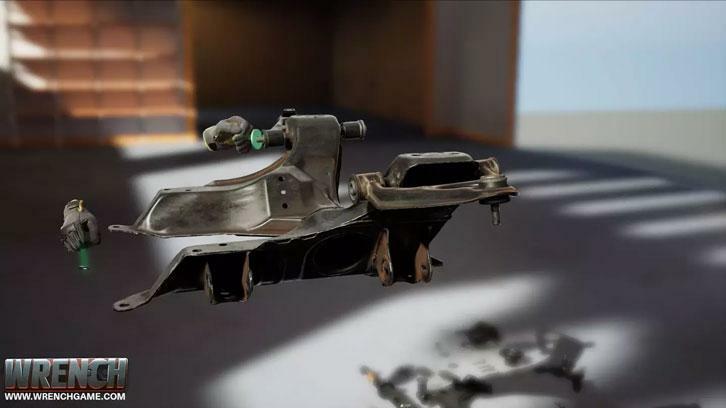 For thosa who love cars and are interested in auto-mechanics, Wrench lets you assemble a car-kit in VR piece by piece. Hardware-wise, the developers are continuously hard at work. The limitations of VR have to be overcome by making it much easier to use VR and getting the most out of it. Of the main VR HMD brands, Sony with it's PSVR was the most successful in terms of market share. The company will soon release an upgraded version for the PSVR. In addition to some features that will make the HMD more user friendly, the new headset will be using the HDR (High Dynamic Range ) display format which is the new standard for Sony TV sets. The first PSVR still employs the SDR (Standard Dynamic Range) and the implementation of the upgrade will of course mean a way lot better image quality. Likewise, the HTC Vive will have an upcoming implement for its HMD called the aGlass. 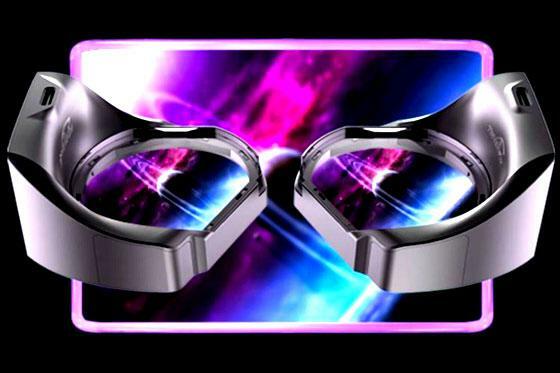 Developed by Beijing-based company 7invensun, the add-on eye-piece set will fit onto the Vive HMD to give it pupil and eye tracking capability. The aGlass comes with 3 sets of interchangeable lenses and connects to the Vive system via USB. With that, VR games can be developed that would react to the movement of the users eyes. Finally, Oculus is in the process of addressing a much sought after request of VR gamers. Wireless VR. The company under FaceBook is currently working on the next generation HMD of the Oculus Rift code named Sta. Cruz. In the development stage, performance is akin to that of the regular Oculus Rift except that it's wireless and may end up as a self contained unit. The graphics however was said to be a little bit lower than the Oculus but performance-wise, showed a lot of promise for developers and users alike. Oculus plans to release the HMD next year. In order for VR to keep moving forward, content development will no doubt be very important. 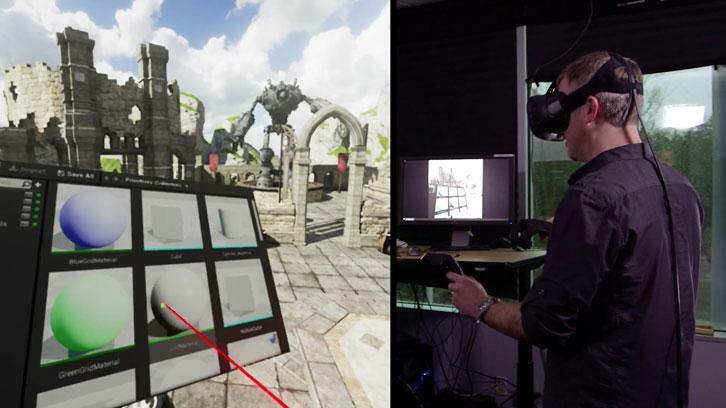 Epic Games latest Unreal Engine uses a level designer that can be used in VR. For those that have done Level Editing for FPS and 3D games, imagine creating a level ot map while wearing an Oculus or Vive strapped to your face and using the controllers and a virtual menu interface that looks like an ipad instead of keyboard and mouse to move objects, shape them, texture them and place them into position to come up with the environment you have in mind...all within VR. It may take some getting used to as you would be right there in the middle of your map with controllers in hands and see all sides as you turn your head to look around. There are many more peripherals and devices for VR that are currently being developed but these are some of the ones that will have the immediate impact on the users in the very near time to come. Regardless of the slowing down of VR in terms of sales and popularity (we all know that price was the major culprit), with continual development and hopefully much more ready accessibility in the future, who knows how far VR can really go.